One of them looks cheerful. One has to request permission to enter Bethlehem for Xmas from the Israeli occupation forces. Aljazeera reported last night that they turn most requests down. Yes, really. I think they meant all year. A goose has been rushed to the vet for emergency treatment after it ate some of the hundreds of drugs dumped on the ground in a park. 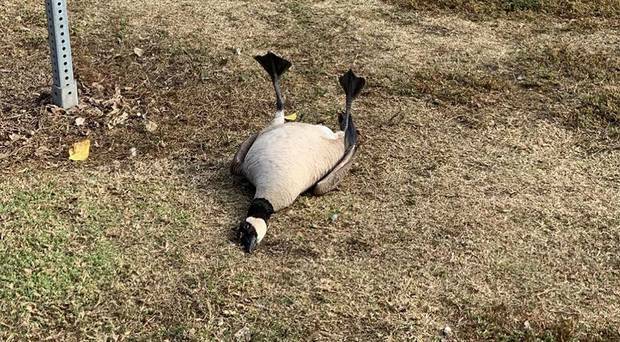 The Californian Wetlands & Wildlife Care Centre posted photos of the pills and the goose on social media after the goose was found passed out on Wednesday afternoon. The person who found them noticed hundreds of pills all over the grass at a park in Huntington Beach. According to locals, it is suspected the pills found on the grass consisted of heart medications, antidepressants, anti-anxiety and insomnia medication. The animal refuge took to Facebook saying multiple birds were showing signs of a drug overdose. “Our centre is currently treating a Canada goose and a ring-billed gull that are exhibiting symptoms, such as loss of muscle control, that coincide with illness most likely caused by ingesting these medications,” it said. Both birds were given IV fluids that helped flush out the toxins. “Both birds are doing well with treatment which mainly consists of pushing IV fluids through their system to flush it out. Thank you to those who took quick action to help the innocent birds at this park,” the refuge said.